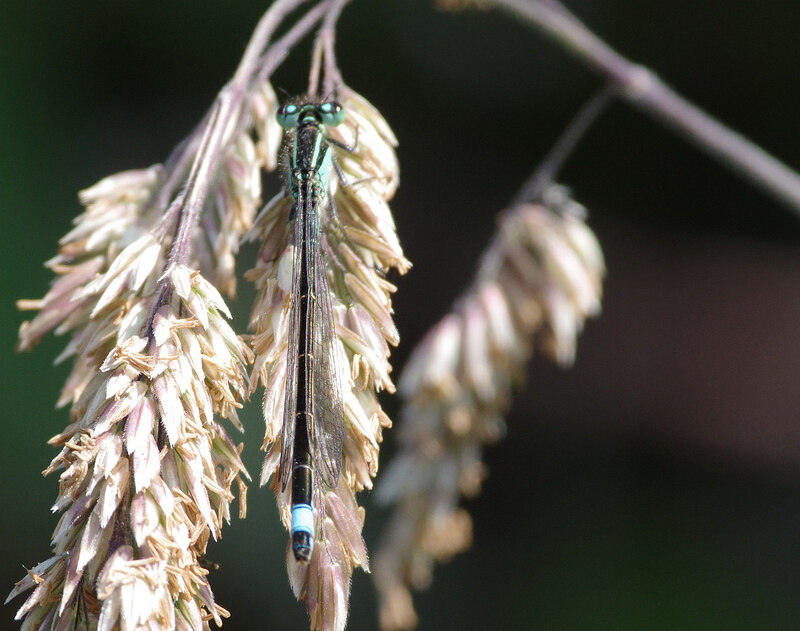 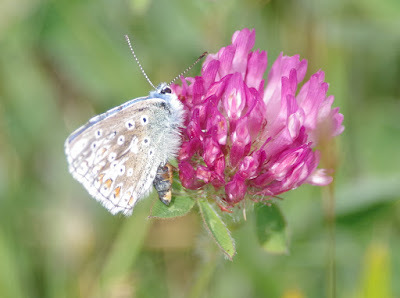 As those of you who follow this blog will know, I have spent hundreds of hours trying to photograph - or even see! 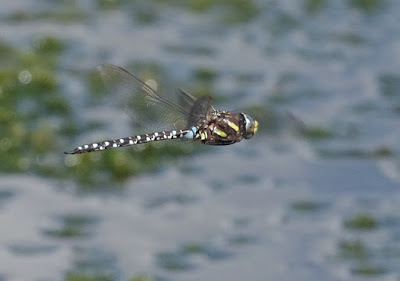 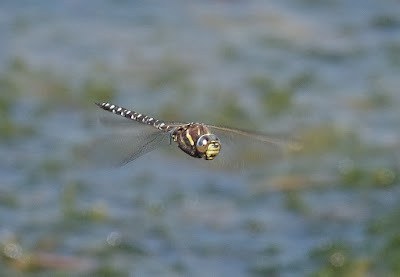 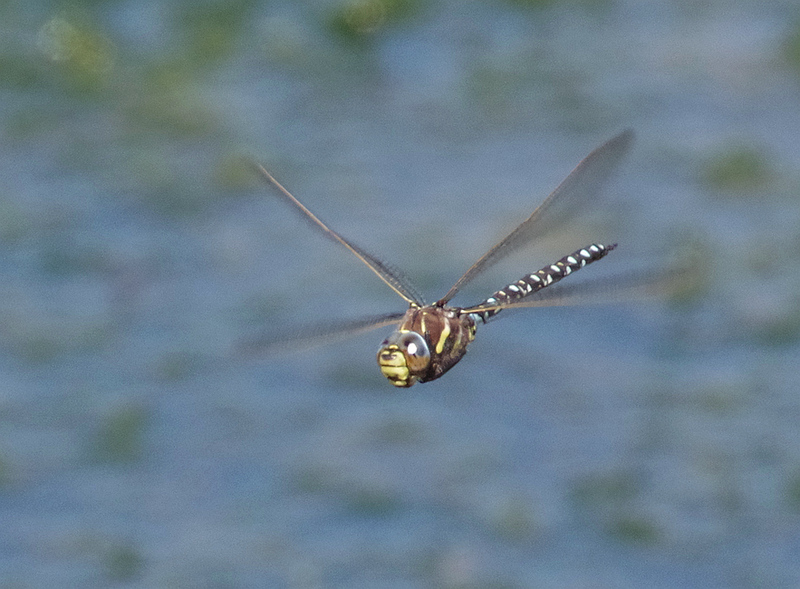 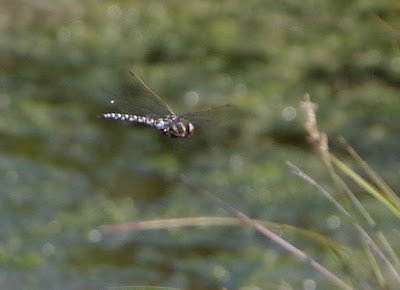 - a Common Hawker. 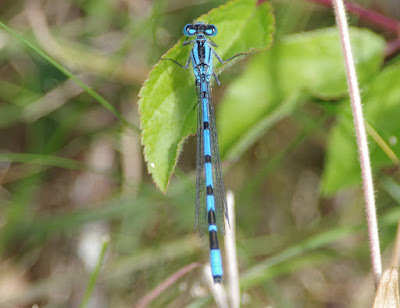 There are only two recognised sites in Norfolk: Upton Fen and Winterton, but I wouldn't hold your breath if you visit either! I have seen the species in Devon, but never had the chance to even raise my camera as they tazzed along moorland paths. 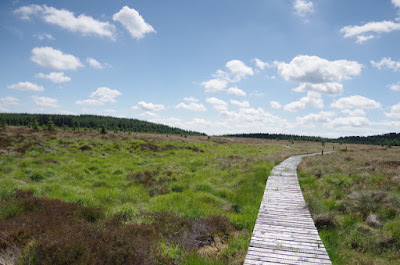 I was determined to find a suitable upland bog during our visit to Northumberland: the best bet seemed to be Falstone Moss above Kielder, so Linda and I set aside a couple of hours for a search. 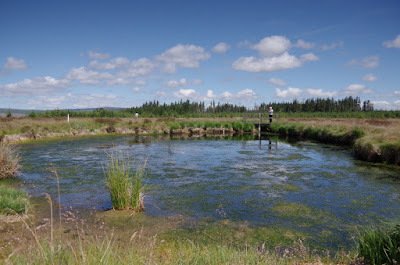 When we asked for directions at the visitors' centre, we were informed that the site was no longer maintained and that the pool had dried up: nevertheless, we decided to take a look anyway. In the event, we found a marked footpath that was being strimmed. After a few trials and tribulations we reached the boardwalk, crossed the bog and found the delightful pool: there were at least half a dozen Common Hawkers chasing about without stopping, so we spent ages trying for flight shots... Other odonatids included hundreds of blue damselflies: I photographed a Blue-tailed and what could possibly be a Northern Damselfly. 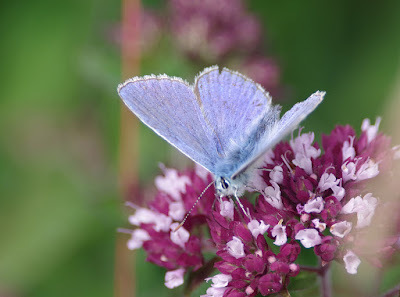 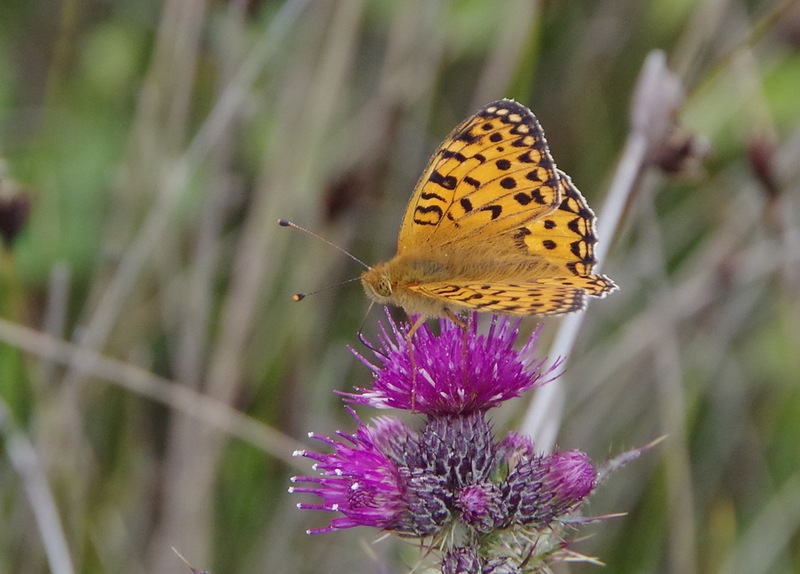 On our various rambles we enjoyed good views of Dark Green Fritillary (on Lindisfarne) as well as Common Blues and other familiar species of butterfly.